Lightning and the full moon, a photo that took 7 years to capture. Welcome to Susan Strom's gallery! 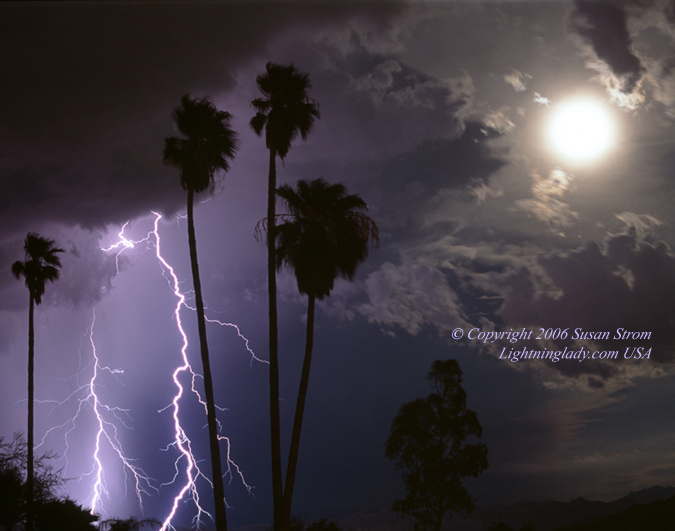 About the Photographer "Lightning Lady"
Site and all content was written and designed by © Susan Strom, Arizona, United States of America. Unauthorized use of any content herein is strictly prohibited by US Copyright law.